Moses Muyang’ai (centre) shows his farm records (photo credit: ILRI/James Audho). The north eastern region of Kenya is home to pastoralists whose livelihoods mostly depend on the sale and consumption of livestock and their products. But the pastoral production systems in the region are characterized by low growth rates and off-takes coupled with frequent cyclic droughts, which increase the vulnerability of these communities. Addressing these and other challenges in pastoral livestock production requires particular consideration of the mobile herding system and rangeland management strategies in order to create sustainable sustainable solutions that improve the resilience of pastoralists. Against this backdrop the International livestock Research Institute (ILRI) and other partners under the Feed the Future Kenya Accelerated Value Chain Development (AVCD) project is working towards improving the quality of livestock kept by pastoralists and to boost their productivity through better herd management practices. The project is working in Isiolo, Garissa, Marsabit, Wajir and Turkana counties in northern Kenya. Most of the livestock keepers in the region keep large herd sizes for prestige, subsistence and for cultural/traditional functions. The AVCD project activities will promote interventions that are cognizant of these community needs in the process of improving livestock keeping practices. In particular, ILRI is implementing interventions to increase productivity of small ruminants. A recent study by ILRI scientists revealed that a community-based breeding program with strong capacity building in animal husbandry, health and marketing of products could improve the productivity of small ruminants in Kenya. 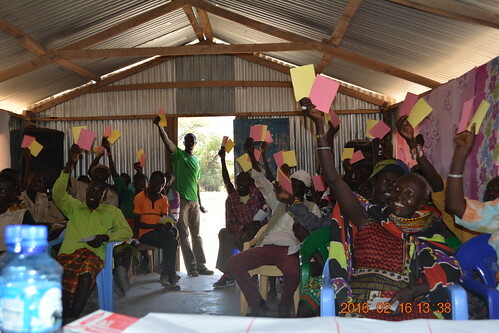 Implementation of interventions through various trainings, exposure visits and choice experiments to build capacity of pastoralists in best practices for improved productivity. sheep management strategies for improved productivity. Muyang’ai has been applying the knowledge and strategies learnt on his farm over the past eight years with much success. Having started with about 350 sheep, he now owns more than 750 sheep. 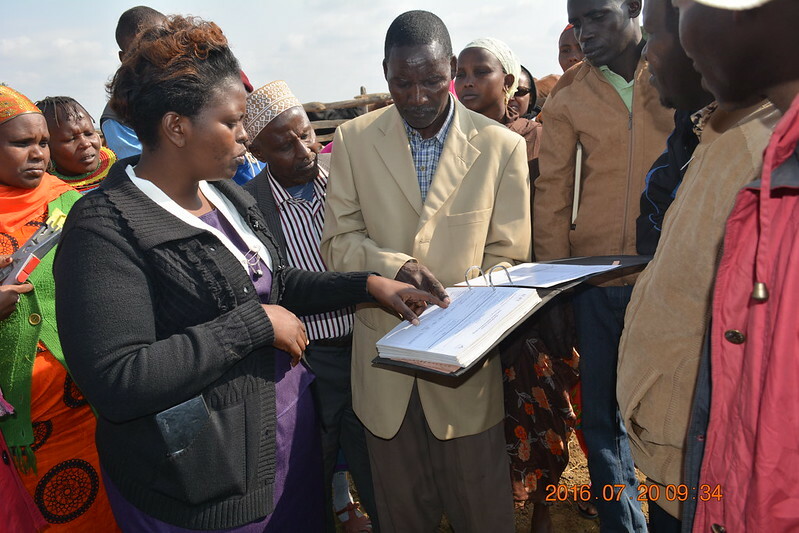 He boasts of updated records (which he proudly showed the pastoralists) which help him monitor the progress of his flock and gives him competitive advantage in the livestock market. The pastoralists also visited the ILRI Kapiti research station where they received training on livestock identification, breeding and performance monitoring. The exposure visit also provided an opportunity for the pastoralists to attend the annual Livestock Breeders show to gain exposure on the latest breeding technologies. Reblogged this on AVCD Kenya.